Excerpt 05 : 44 min. 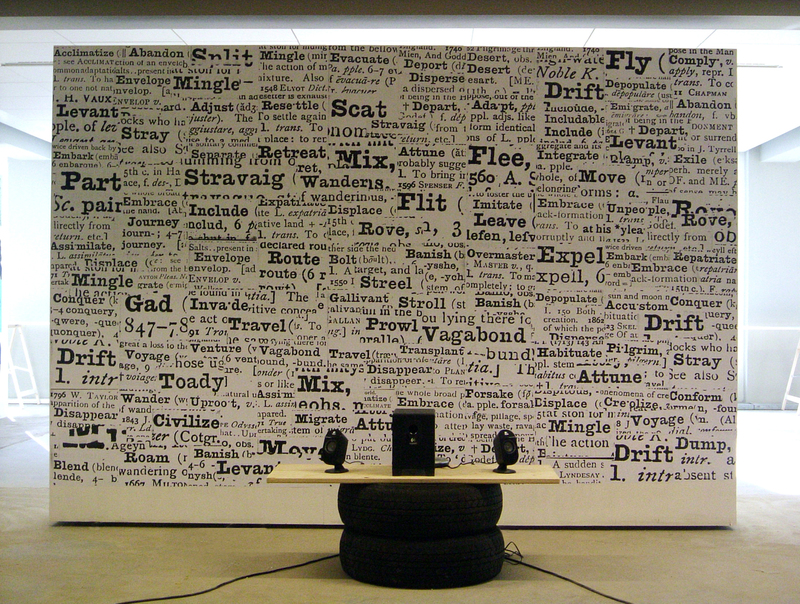 ‚On Mobility‘ consists of a series of audio recordings of micro-performances, during which I proclaim all the verbs I could find in the Oxford Dictionary that relate to departure and to arrival. The work is closely interlinked with Memories of the Signified. Nevertheless, ‚On Mobility‘ is designed as an installation for large architectural spaces, that allows for a number of loops of sound to intermix, creating an environment in which an audience moves between ambiences in the space. The work can be reedited to suit specific sites and buildings (more / less loops or sources can be installed). To create ‚On Mobility‘ I took the Oxford Dictionary on a journey through Europe, visiting border passages, ports, bus and train stations, motorways, airstrips, waiting lounges and suburban parking lots. Whenever I found an intriguing sonic ambience I started to perform, using the unanticipated sonic qualities of those places as resonators of meaning.